Thank you to Blue Slip Media and Two Lions for the free copy of Duck and Hippo The Secret Valentine All opinions are my own! You all know I love seasonal books, and Valentine’s Day can be a TOUGH one to find good new books for! I love to read holiday-specific books to my kids, but with two boys, they can be a tough crowd. However, they both sat down and listened to this one the whole way through, and we all loved it! 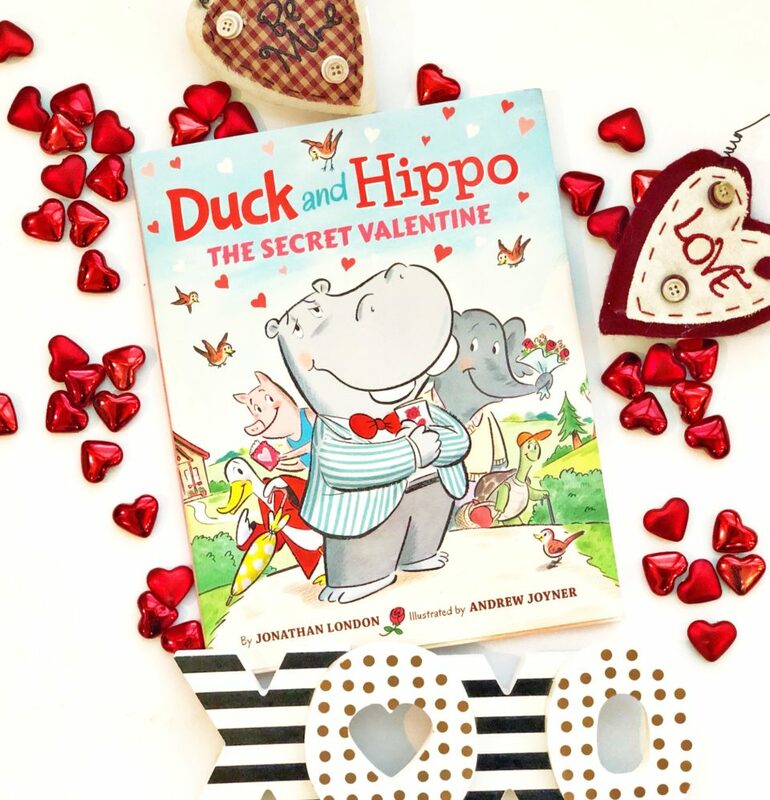 Duck and Hippo The Secret Valentine is about . . . well, Duck and Hippo, and their friends Pig, Elephant, and Turtle, and a secret Valentine who’s hopping around town delivering mystery cards! All the animals are excited to find out who their Valentine is (and they think they have an idea), but when they all meet at the same spot at the same time, there’s an even bigger surprise. This book is so cute, and the illustrations are really fun. (I don’t know about yours, but my kids love to find all the little details and secrets that illustrators often add in!) This is a really solid addition for a Valentine’s Day book collection, and I’m so glad it’s in ours! Your kids (or you-let’s be honest, this looks really fun) can learn how to draw Duck and Hippo on illustrator Andrew Joyner’s website! just click HERE to find all kinds of easy and fun drawing tutorials! Thank you to Pink Umbrella Books for sending me a copy of this book and including me in the blog tour! All opinions are my own! Do you remember what you were doing when you were 12? I don’t, but I’m certain it wasn’t anything as industrious as Isabella Murphy, the 12-year-old author of From Dark to Light . I’m always looking for new fall books about pumpkins, Halloween, and anything orange. In Texas, our fall often includes 90-degree days, so I try to fake it with all the fall books I can find. When I found out that the author of this beautifully-illustrated book was 12, I was hooked. 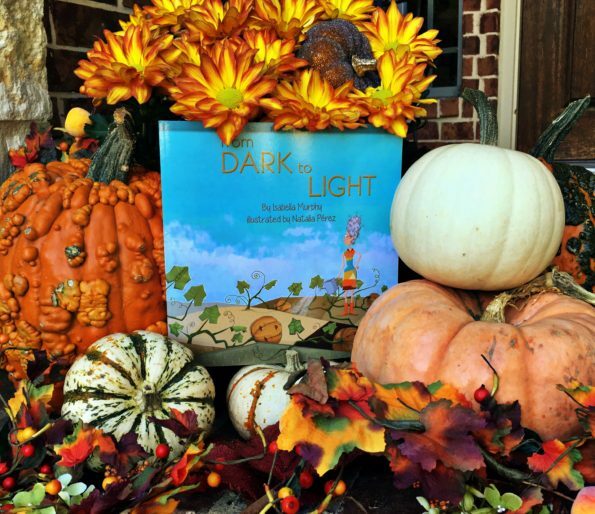 From Dark to Light is the story of a little pumpkin seed, Pumpker, and his two sisters, Plumpalicious and Plumpilina. They are planted in the ground together, and Pumpker just wants to get back out of the ground and find a family to love him. (It doesn’t help that his sisters are kind of annoying, as sisters can be, and won’t talk to him.) But when Pumpker and his sisters grow into pumpkins and are taken home with a family, together, they find that they have more in common than they thought, and Pumpker finds the love of a child he’s been wishing for. You guys, this is the sweetest book, with the most fun illustrations. Both of my boys (ages 6 and 8) loved it, and my 6-year-old has been asking me to read it over and over. The basic story, of a pumpkin seed wanting to grow up and be loved by a family, is wonderful in itself, but it is the underlying message that I really love. The fact that a 12-year-old wrote it makes it even more impressive. Seeing Pumpker overcome tough times (being stuck in the dirt with slimy worms) to reach his goal is inspiring to kids. He also has to deal with his sisters, who think he’s weird and aren’t super nice to him, but at the end they discover that he’s “not the only weirdo,” which shows kids that we’re all different, and everyone has something in common, no matter how different they seem. 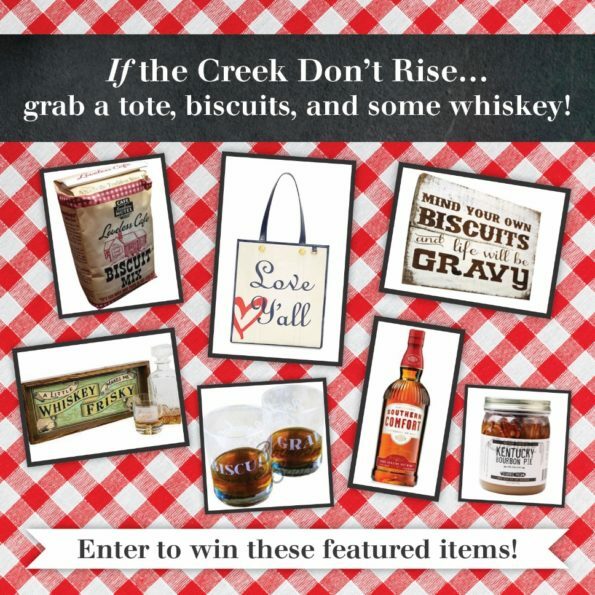 Y’all, you know how much I loved Leah Weiss’s If the Creek Don’t Rise. If you don’t, please read my review of it HERE, so that we can all love it together.